2 Southbank creates a place for the entire community to access and use. 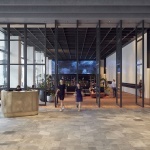 The lobby is a vehicle that transcends the role traditional workspace plays in by assuming an audacious social goal: build a community village that blurs boundaries between public and private, corporate and ‘black collar’ worker, retail, social and learning spaces. Artwork is a powerful driving force behind 2 Southbank’s ability to bind occupants: to one another, to the Southbank precinct and to the surrounding arts community beyond. Significant works merge seamlessly into the building fabric. A second force that makes the space sticky is the curated hospitality experience, which is likened to what one might have in a hotel. People come in for business, but they stay because they feel at home. Main entry portals are signalled by six-metre high steel and glass pivot doors that divide the lobby into three distinctive zones, each with a different character and function. 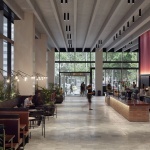 When entering 2 Southbank the first zone one encounters in the main lobby features a café and links Southbank Boulevard with the adjacent piazza. Visitors are greeted by innovative materials and new interactive wayfinding that makes the space user-friendly. 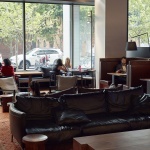 A variety of booth settings for informal meetings to occur in a light, bright and highly active zone are provided. The second zone is the digital collaborative space, akin to an informal business lounge its furnishings, and the manner they are grouped, suit small or large business or social gatherings. A large LED digital wall is a key feature of the space, with the ability for everchanging art content to showcase emerging artists.The third zone is the events lobby which is available to building tenants to book for functions such as town hall-style meetings, functions and product launches. While there is variation in furniture groupings, amenity and types of interactions that they make possible, the aggregate to all the spaces is an underlying attention to detail. The furniture and material selections feature comfort and quality over flash, mindful that choices were not to be overly precious because it was felt that may lead some to feel unwelcome. 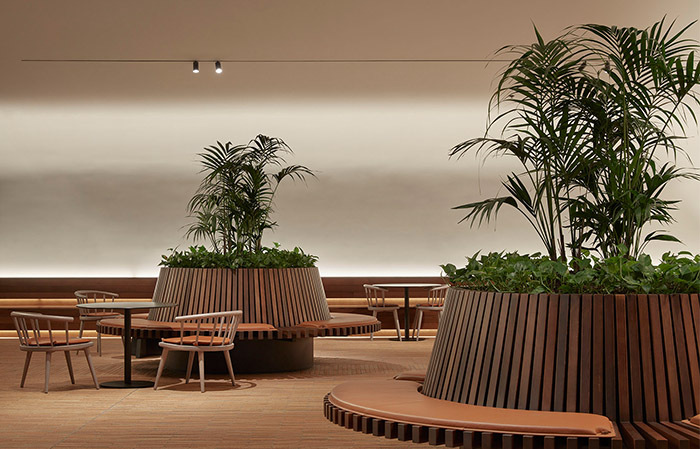 The goal was to create an environment that appealed to all generations in the workforce, and one where a user in a t-shirt and jeans feel as comfortable as one in a suit. 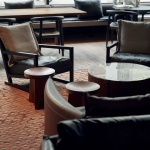 Absent are pretentious ‘high-design’ furnishings that make some feel uncomfortable or out of their league. 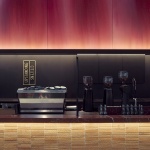 The friendly character of the space brings an authenticity that is a stark departure from other sleek CBD offerings. The design blurs boundaries between commercial, retail and public realm; creating an experience that responds to social cues and users’ demands, in short, it is a place of the future.